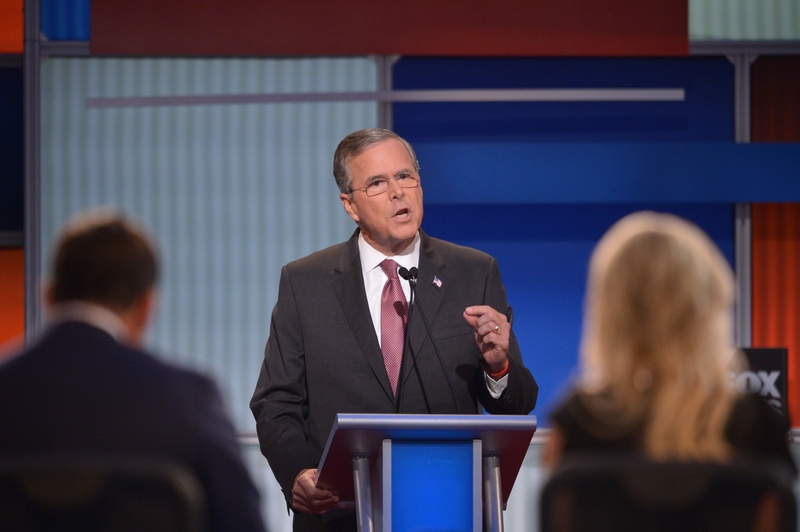 Jeb Bush Calls Iraq War A Mistake & Gives No Brotherly Love to George W.
As the brother of former President George W. Bush, Jeb Bush received some heat during Thursday night's GOP debate when the conversation turned toward the war in Iraq. In a move that may have surprised audience members, Bush called the Iraq War a mistake, a sign that there might not be as much brotherly love in the Bush family after all. "It was a mistake," Bush said. "I wouldn't have gone in." It's not only an optimistic response from Bush, but also a calculated one. Most Americans probably have some reservations about having a third Bush in the White House, and Jeb Bush publicly coming out against the highly unpopular war helps remove him from his older brother's shadow. The younger Bush continued with a response that had little in substance, but surely pulled on the heart strings. He talked about being governor of Florida during the war and how he reached out to families who lost their sons and daughters in combat. Bush said he made sure they knew their children "did not die in vain." This isn't the first time Bush came out against his brother on the war in Iraq. In May, following a PR disaster, the Republican candidate told a group of voters in Arizona that he would have done things differently if he were president in 2001. "Knowing what we know now I would not have engaged — I would not have gone into Iraq,” Bush said at the time. But let's not forget that Bush's anti-war stance is also a PR move. Bush received some backlash in May for initially telling Fox News' Megyn Kelly that he supported the war. He continued to evade questions about the war in Iraq until firmly taking an anti-war stance.